I want to make my home a close relative. How should it be done? Can it be written by me by hand? Should it be certified by a notary? The will is a one-sided, repeatable act by which the testator dispose of his property free of charge. It is a free-for-death deal. There are two types of wills that are completely equivalent - both handwritten and notary. However, in order to be true, both species must comply with the requirements of the Inheritance Act. In order for the testament to be a handwritten testament, it must meet at the same time three requirements: 1. 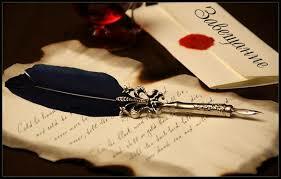 To be written in manuscript (by hand) by the testator, handwritten, and hence its name. 2. To be signed by the testator, and it is good, except for the signature of the testator, that he should also write his own names (the so-called legible signature). 3. Be dated. Failure to comply with any of these three requirements results in the void being void, which means that it can not produce the legal consequences desired by the testator. In other words, it will not be a valid, non-dated testament, without the signature of the testator, or if it is written on a typewriter, computer or by hand but by a person other than the testator. The handwritten will is not certified by a notary. The same is kept in a place where the testator decides - in a personal safe, in a bank cassette, with the testator's personal documents, may also be in the covenant or third person - the guardian of the will, who undertakes the obligation after the death of the testator, and declare the will, the notary and anywhere where the testator decides. Since a handwritten will has to be handwritten in person by the testator, an illiterate person, or a person with a disability of hands can not in practice bequeath a testament by hand. For these persons the only option is the notarial will.